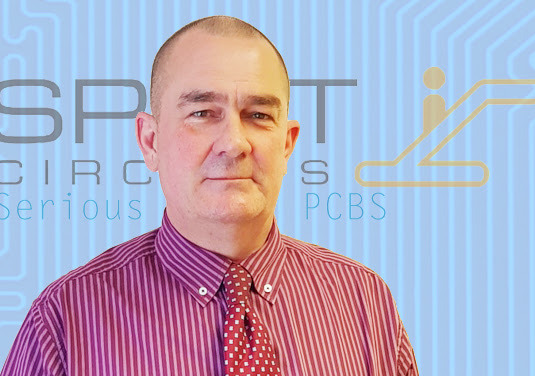 Waterlooville, UK, 09 May 2018 – SCL PCB Solutions Group, a leading European manufacturer of PCB requirements, announced that Simon Rowe has joined Spirit Circuits as Business Development Manager VAR Sales. In a highly competitive and price sensitive market, customers of Spirit Circuits can rely on the company’s unique sales proposition for highly competitive terms and prices for the supply of their PCB requirements. Through a combination of an established office in China and a £4.1m funding package which includes invoice finance, trade finance and foreign exchange facilities, Spirit Circuits is able to pass on preferential rates, purchasing & shipping terms to its UK and European customers. To drive growth, support customers and increase sales of Spirit Circuits’ traded product portfolio, Simon Rowe now joins the company as Business Development Manager VAR Sales. Simon brings nearly 30 years of sales experience and an in-depth understanding of customer requirements gained during his successful career in the electronics manufacturing industry. He joins Spirit Circuits from WUS, where he was Business Development Manager with responsibility for sales and sales growth in Europe. Simon started his impressive career at Enthone Omi in 1990 after graduating from Coventry University with a Bachelor of Engineering (Hons) degree in Materials Technology. For more information about Spirit Circuits and the SCL PCB Solutions Group of companies, please visit www.sclpcbgroup.com.